As an Emmy Award-winning domestic and foreign Correspondent for NBC News, Mark Mullen's career has taken him to the furthest reaches of the world. But San Diego always remained a special place for Mark. "San Diego has always been an extraordinary city. As a journalist, many of the nation's biggest issues originate here. And for lifestyle, ask anyone who lives here. It's fantastic! I was thrilled to move here with my family and work with the great team at NBC 7 San Diego". Prior to his taking the helm anchoring the 5 pm, 6 pm, and 11 pm newscasts with Catherine Garcia and Monica Dean, Mullen served as Chief Asia correspondent for NBC News based in Beijing, regularly reporting on notable Asian and Chinese current events with in-depth coverage of The Olympics-- filing stories for NBC Nightly News, The Today Show, MSNBC and CNBC. In the run-up to the 2008 Olympics, Mullen became the first journalist to broadcast a live report from Tiananmen Square since the Chinese government crackdown on student demonstrators in 1989. Over the years, Mullen's assignments have also included reporting from war zones. He was recognized for his story in Iraq about the Kurd's first ever vote in that country's historic election. Mark also covered stories in the Middle East, Europe and throughout the US including Hurricane Katrina, the aftermath of 9/11, and The California Wildfires. The majority of the stories Mark did as an NBC domestic correspondent were based here in Southern California, many in San Diego. Prior to joining NBC, Mullen was at ABC News in New York where he anchored World News Now, America This Morning and was a correspondent for ABC’s World News Tonight and Good Morning America. 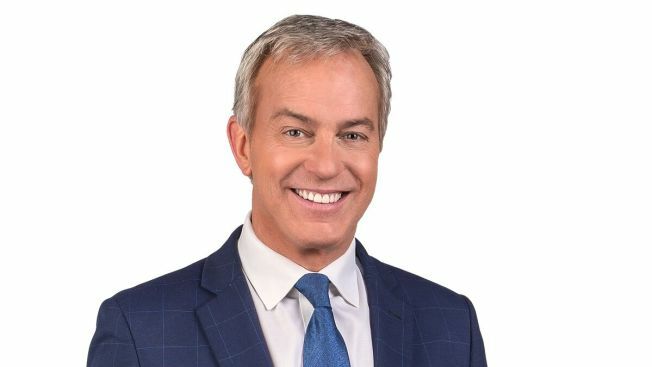 Mark has won numerous national and regional awards for anchoring and reporting, including a National Emmy Award for Outstanding News Coverage. The Society of Professional Journalists also named him Outstanding Young Journalist of the year. Watch Mark, weeknights on NBC 7 News at 5 pm, 6 pm & 11 pm. Drop Mark a line at Mark.Mullen@nbcuni.com.